This will be a beautiful all stucco open concept home located in a culd-a-sac and lake views! 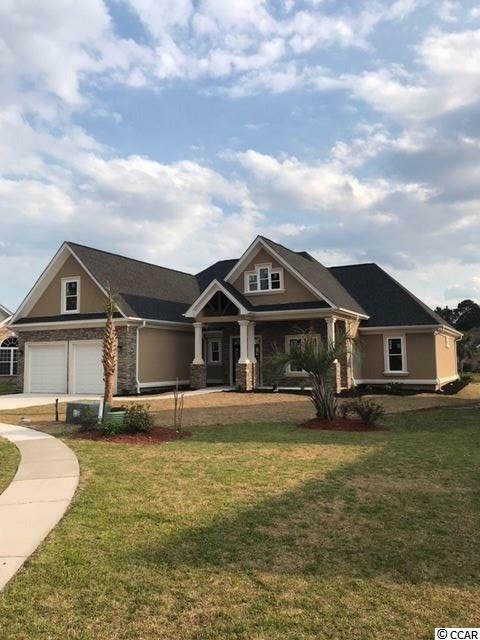 Home will be built in the well known established Covington Lakes community nestled conveniently off of Carolina Forest Blvd. Home can technically be a 5 bedroom with 4 rooms on the main level and a bonus room upstairs. It will be full of upgrades, Stainless steel appliances, Tray ceilings, Soft close cabinets, Granite throughout, No carpet, Upgraded trim package, 9ft ceilings, Crown Molding, Custom tile shower in master bath, Fireplace and more! located close to the beach, shopping, tanger outlets, and much much more! Some customizations could still take place, but act fast! This amazing opportunity won't last long! © 2019 Coastal Carolinas Association of REALTORS® MLS. All rights reserved. The data relating to real estate for sale on this website comes in part from the Broker Reciprocity Program of the Coastal Carolinas Association of REALTORS® Multiple Listing Service. Real estate listings held by brokerage firms other than Coastal Real Estate Pros are marked with the Broker Reciprocity logo and detailed information about them includes the name of the listing brokers. The information provided is for consumers' personal, non-commercial use and may not be used for any purpose other than to identify prospective properties consumers may be interested in purchasing. All information provided is deemed reliable but is not guaranteed accurate, and should be independently verified.